The rise of barbaric nationalism and the global migration crisis will be the focus of the 2018 Humanities Horizons lecture delivered by Harvards Professor Homi K Bhabha in Trinity College Dublin on Monday, September 24th, 2018. 29AUG18 - DUBLIN  IRELAND.- One of the most important figures in contemporary postcolonial studies, Professor Bhabha has published numerous works exploring postcolonial theory, cultural change and power, contemporary art and cosmopolitanism. He is Professor of English and American Literature and Language as well as Director of the Mahindra Humanities Center at Harvard University. THE average age of property buyers in Marbella has plunged to a record low of 42 years old. A report by estate agents Lucas Fox Marbella also found foreign interest in Costa del Sol properties is on the rise. 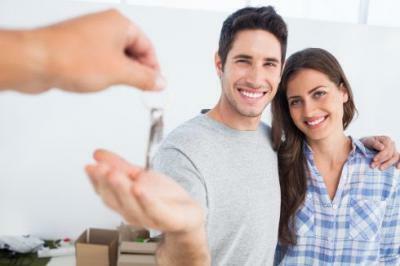 27AGO18.- Foreign buyers have contributed to 31% of this years home sales, a 3% rise from 2017. Many of these buyers are entrepreneurs or CEOs, citing their ability to work remotely as a reason for moving. SPANISH green party Equo is demanding an immediate ban on the herbicide Glyphosate which has been linked to terminal cancer. 27AGO18.- The call comes after American courts ordered the manufacturer to compensate a victim who fell prey to the disease after exposure to the product. 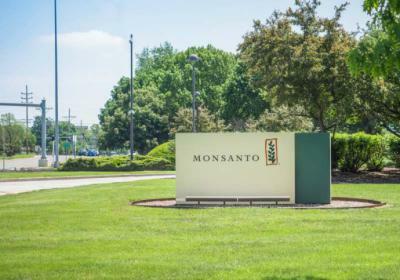 Developed in the 1970s by Monsanto, now owned by pharmaceutical giant Bayer, Glyphosate has been denounced on multiple occasions due to its negative effects on the environment and human health. 23AGO18.- For subscriptions and other information about this site, go to businessovertapas.com email: businessovertapas@gmail.com - ***Now with Facebook Page (Like! )*** Note: Underlined words or phrases are links to the Internet. Right click and press 'Control' on your keyboard to access. 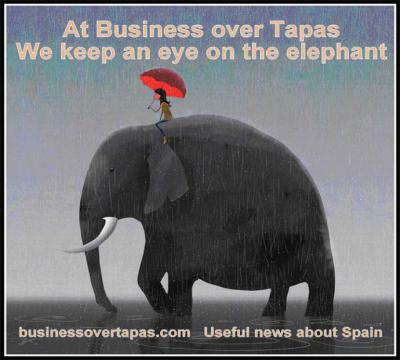 Business over Tapas and its writers are not responsible for unauthorised copying or other improper use of this material. Subscription and e-mail information in our archives is never released to third parties. 23AGO18.- BRITISH holidaymakers are in for a surprise with free alcohol on package holidays set to be banned in Spain. The Balearic Islands government is set to crackdown on boozy all-inclusive trips in Mallorca and Ibiza by bringing in new regulation. 23AGO18  MARBELLA.- A british drug lord has been snared after 16 million worth of cannabis was found stashed in a Costa del Sol home. 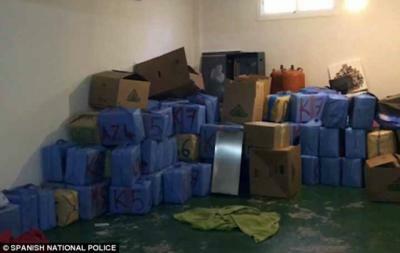 The huge haul was discovered in a home in the Marbella seaside town of San Pedro de Alcantara last week. 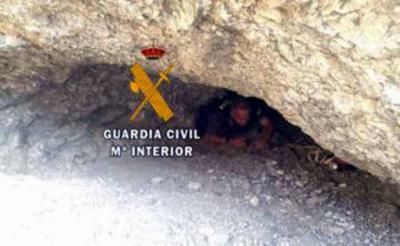 23AGO18  MÁLAGA.- A TOURIST has been rescued on the Costa del Sol having been trapped in a cave for almost two days without food or water. The 23-year-old German man was on holiday in Mijas when he got lost hiking in Rancho de la Paz  an area with many caves and peaks. 23AGO18.-- The footage shows the enraged bull stamp on the 45-year-old man and repeatedly toss him in the air while others attempt to distract it away. 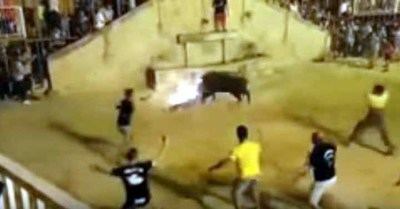 THIS is the shocking moment a tourist was gored and trampled by a bull with flaming horns at a bull fighting festival in Valencia. 16AGO18.-For subscriptions and other information about this site, go to businessovertapas.com -email: businessovertapas@gmail.com - ***Now with Facebook Page (Like! )*** Note: Underlined words or phrases are links to the Internet. Right click and press 'Control' on your keyboard to access. Business over Tapas and its writers are not responsible for unauthorised copying or other improper use of this material. Subscription and e-mail information in our archives is never released to third parties. 02AUG18.- For subscriptions and other information about this site, go to businessovertapas.com -email: businessovertapas@gmail.com - ***Now with Facebook Page (Like! )*** Note: Underlined words or phrases are links to the Internet. Right click and press 'Control' on your keyboard to access. Business over Tapas and its writers are not responsible for unauthorised copying or other improper use of this material. Subscription and e-mail information in our archives is never released to third parties.